Wenn wir auch noch nie im Leben einen Hühnerstall gebaut haben, so arbeiten wir uns ein und übertragen unser Wissen und unsere Fertigkeiten auf diesen neuen Anwendungsfall. (Wie an fast jedem normalen Arbeitstag eines Konferenzdolmetschers). Theoretisch hätte ich bei dieser Baumaßnahme jeden einzelnen Handgriff auch selbst tätigen können, aber letztendlich ist doch auch ein Hühnerhaus mehr als die Summe seiner Teile. Wahrscheinlich hätte ich am falschen Ende angefangen, die falschen Bohrer verwendet und mir auch nicht die Mühe gemacht, die Sitzstange abzuhobeln, damit die Hühner keine Splitter in die weichen Fußballen bekommen. Die richtigen Fragen stellen und der Blick fürs Ganze, das können auch Experten von Experten lernen. Also seid Experten und erfreut Euch an ebensolchen, wo Ihr nur könnt! PS: Sehr interessant: In diesem schönen Artikel über Expertentum aus Experten-(Psychologen-)Sicht von Tad Waddington findet sich Einiges aus der Dolmetscher-Hühnerhaus-Analogie wieder. We use our imagination in order to create the perfect solution – on paper first – which we then put together from a pile of custom cut-to-size wood panels from the DIY store. (We know exactly when sim or consec work better and we will find exactly the right people for a team to suit the needs of this special customer. Just like we think the speech alongside with the speaker and then present another version of it to the audience in the other language which will work for them). We may well never have built a hen house in our lives, but we are smart enough to familiarise ourselves with the subject and transfer our knowledge and our skills to this new task. (The usual stuff on any day in the life of a conference interpreter). Theoretically, I would have been able to carry out every single task on my own. But I have learnt that a chicken coop is more than the sum of its parts. I would most probably have started at the wrong end, used the wrong drills and wouldn’t have bothered smooth-planing the perch so that the chickens don’t get splinters in the soft little balls they have under their feet. Asking the right questions and seeing the big picture, that’s what experts can learn from experts. So: Be an expert, watch out for those around you and enjoy! PD: Very interesting: Many an aspect of this henhouse-interpreter analogy can also be found in this very nice article about expertise from the expert‘s/psychologist‘s view by Tad Waddington. Aunque nunca jamás en la vida hayamos construido un gallinero, nos familiarizamos con el tema y aplicamos nuestros conocimientos y nuestras aptitudes a ese nuevo caso (Lo normal en la vida de un intérprete de conferencias). En teoría, habría sido capaz de hacer cada una de las maniobras yo solita, pero al final, inclusive un gallinero es más que la suma de sus partes. 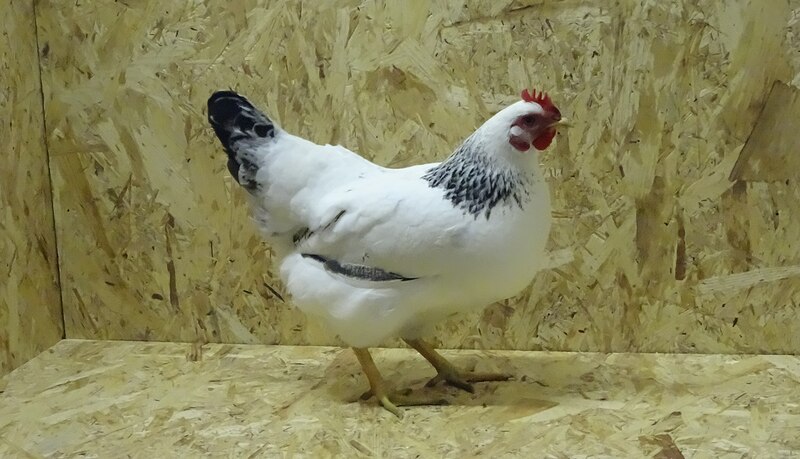 Probablemente habría empezado por el extremo equivocado, habría usado el taladro equivocado y tampoco se me habría ocurrido alisar la percha para que las gallinas no se astillaran las delicadas plantas de sus patitas. Hacer las preguntas acertadas y siempre contemplar el sistema en su conjunto – eso es algo que los expertos podemos aprender de otros expertos. Entonces: ¡Seamos expertos y disfrutemos de aquellos con los que nos podamos topar! PD: Muy interesante: En este artículo maravilloso sobre la pericia – desde el punto de vista de un experto/psicólogo – de Tad Waddington se pueden encontrar algunos aspectos de la analogía gallinero-interpretación https://www.psychologytoday.com/blog/smarts/200901/defined-expertise-its-not-how-smart-you-are-how-much-you-know-matters von Tad Waddington. 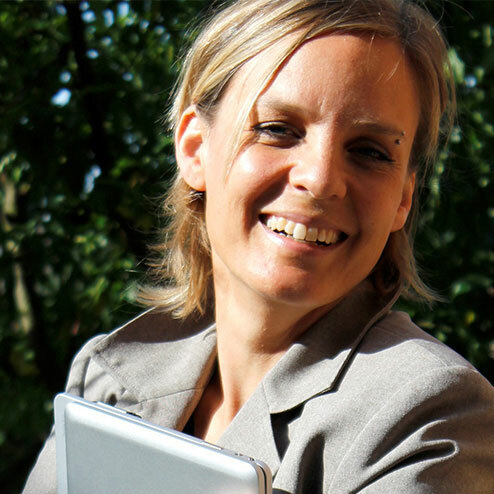 Anja Rütten es intérprete de conferencias autónoma para alemán (A), español (B), inglés y francés (C), domiciliada en Düsseldorf/Alemania. Se dedica al tema de la gestión de los conocimientos desde mediados de los años 1990.